Stiff Flat Top Broom PVC 13"
Heavy duty. Requires 1 1/8" diameter handle 30010 . Colour may vary. Stiff Flat Top Broom PVC 13" is rated 4.4 out of 5 by 7. 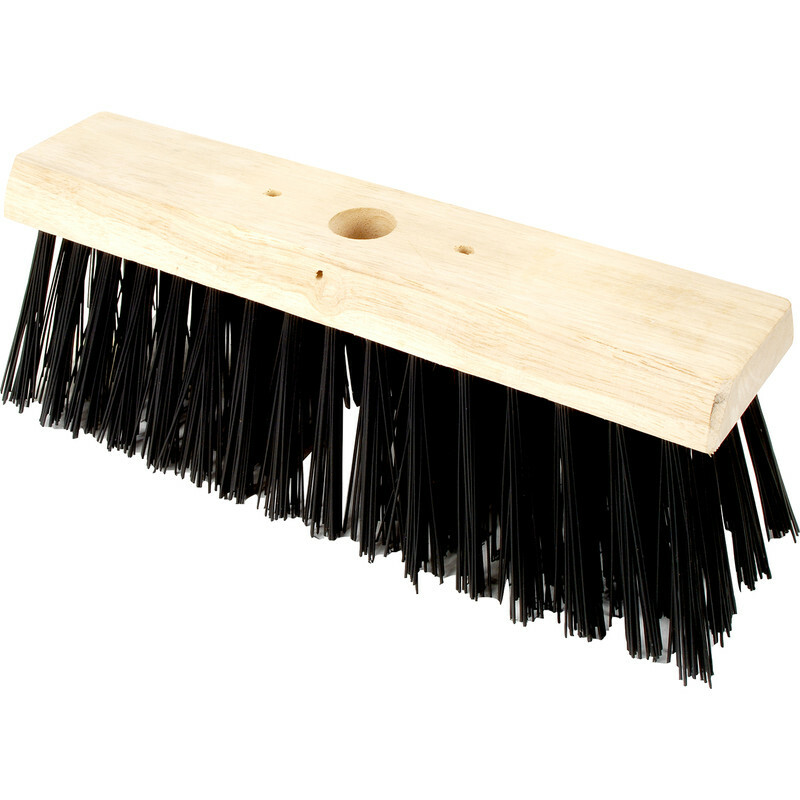 Rated 5 out of 5 by Moneysaver from Very Sturdy Very good long bristle. Sturdy traditional construction. 1 1/8" handle fitted well, tight fit no wobble. Does the job of yard sweeping well. Eco friendly. Would recommend. Rated 5 out of 5 by Pete 01 from It sweeps. Not a lot to say really. It was what you would expect. So far site hasn't broken it. Rated 1 out of 5 by Supernova from Do not bother. I have used this twice and the bristles are falling out already. Not fit for purpose. Rated 5 out of 5 by jimjoe from Does the job Excellent value and ideal for inside and outside use.